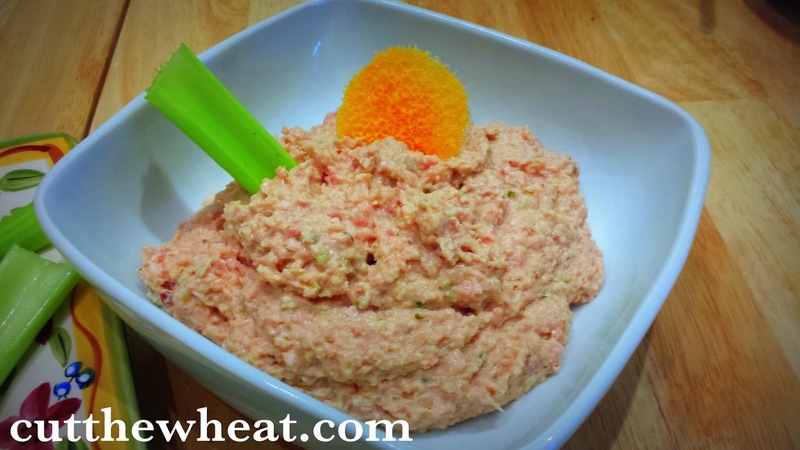 Depending on where you live in the country–or even the world– you may or may not have ever heard of the tastiness that is ham salad (or, to some, ham salad spread– or ham spread). It’s possible you may have eaten it and not known what it was. It’s traditionally served in the south and midwest, and you’d typically find it sandwiched between two tiny crustless pieces of white bread or a small roll of some kind. It’s commonly served at baby showers, wedding showers and other miscellaneous celebrations which call for finger foods. I used to love it. Unfortunately, traditional versions are loaded with sugar. In fact, many version you’d buy at your local deli counter have between 10 and 20 grams of sugar per 1/4 cup serving. Yikes! This is a great dish to make after a holiday, such as Christmas or Easter, with your leftover ham. 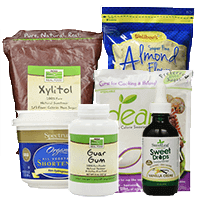 It does require a food processor or high powered blender, such as a Vitamix or Ninja. If you’ve never had ham salad, you might be saying to yourself, “now that doesn’t look very good.” In fact, it looks a lot like a pink version of tuna salad. 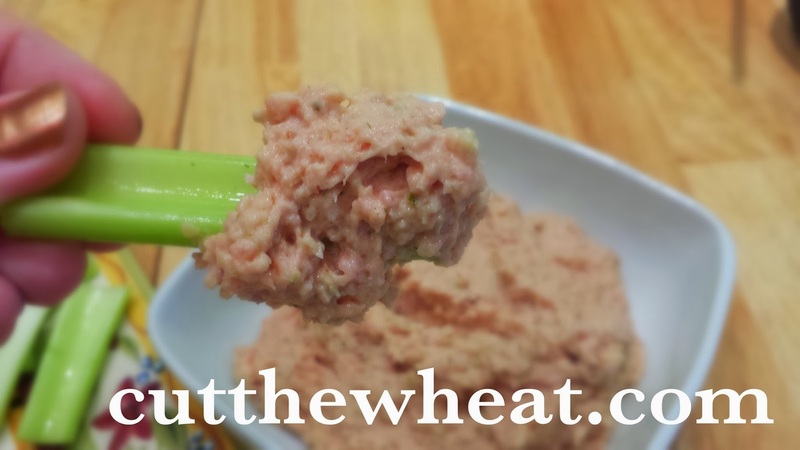 It’s similar to tuna salad, actually, but it’s sweeter and, in my opinion, even more delicious. It’s a bit sweet and quite salty at the same time. It has a unique flavor that is a universal pleaser. 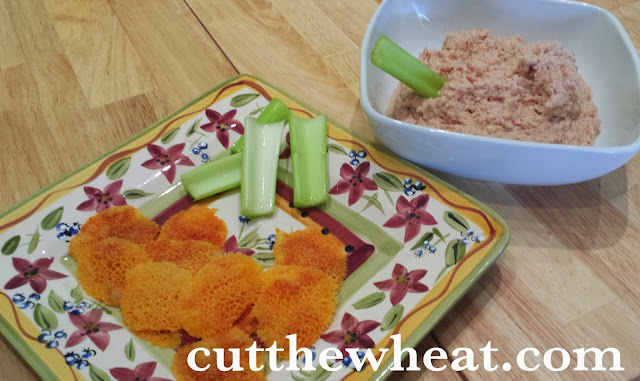 Instead of serving this on rolls or bread, try dipping crisp cheese crackers (just microwave small chunks of cheese until it turns into small, crispy rounds–pictured) or cold vegetables. 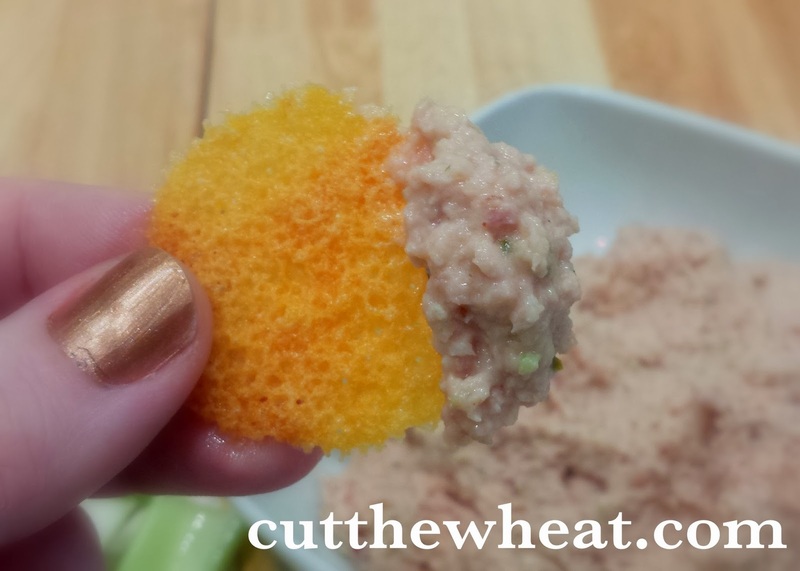 It’s just as tasty and has virtually no carbs! 1. Blend all ingredients in a food processor or blender for about two minutes, until no large chunks of anything remains. 2. Taste for sufficient sweetness and saltiness. Add more sweetener or salt if necessary (only a pinch at a time). 3. Cover and refrigerate for 4 hours to allow flavors to meld. Serve with low carb crackers, cheese or vegetables, or inside a low carb wrap.